On 10 December 2003, Eska Nord Sp. z o. o. requested the Polish Patent Office to decide on the lapse of the right of protection for “Radio 73,2 Fm ESKA” R-98909 trade mark due to the non-use. The applicant explained that since 1993 it operates as a commercial radio station that broadcasts its program in the Tri-City region (Gdańsk, Sopot and Gdynia) and the surrounding area, using the ESKA-NORD brand. The applicant has claimed its legal interest (locus standi) from the fact that the District Court in Gdańsk issued on 1 August 2003 an order prohibiting Radio ESKA S.A. the broadcasting at radio frequency 94.6 MHz in Gdynia and 90.7 Mhz in Gdansk, and prohibiting radio broadcasting and advertising under the names Eska and Eska Trójmiasto. Radio Eska S.A. sought to dismiss the request and provided the correspondence with the National Broadcasting Council on the use in 1999, of the questioned trade mark in the registered form. 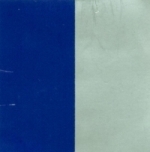 The company explained also that it ceased using in “73.2” number in the questioned sign as it was justified because it changed the broadcasting frequency under the Regulation of the Minister of Communications dated 16 December 1999 on the frequency allocation and frequency ranges in the Republic of Poland and the conditions of their use Official Journal No 109, item 1252. The PPO its decision of 21 February 2005 dismissed the request and pointed out that timeframe to be considered whether disputed trade mark was used and in what form includes the period of 5 year, i.e. between dates of 10 December 1998 and 10 December 2003. The Voivodeship administrative Court in Warsaw in its judgmen of 7 February 2006 case file VI SA/Wa 1749/05 dismissed the complaint. The Court, pointed out to the fact that the use of the trade mark in broadcasted programs and in correspondence was the use in the course of trade and it met the requirement of genuine use as referred to in the IPL. The Court also noted that under Article 19(1) of the TRIPS the important reasons of the non-use is justified, are import restrictions or other government requirements for goods or services protected by a trademark. The Supreme Administrative Court in its judgment of 10 October 2006 case file II GSK 173/06 held that the use of a trade mark in a form that differs from that for of a trade mark for which it was granted a right of protection, but in elements which do not alter its distinctive character, is also deemed as the genuine use. 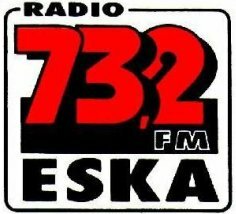 The SAC ruled also that there was the use of the trade mark in the form of RDS (Radio Data System) during the broadcast of radio programs and within a website available at eska.pl, presenting the logo of the station. In the first case while listening to the station with a radio equipped with RDS there were presented verbal communications, including communication with the station name (in this case: Radio Eska). Categories: Art. 169(1)(i) IPL | Art. 184 PBAC | Art. 19(1) TRIPS | company name or firm | genuine use | non-use | Polish Supreme Administrative Court | trade mark lapse | trade mark use.